Britain is undoubtedly a nation of animal lovers, with pet owners often treating their non-human friends as members of the family. Spending on pets is at an all-time high so an animal boarding business could be lucrative if you can excel in this competitive industry. When boarding kennels and catteries first came on the scene, many businesses housed animals in basic cage kennels. However, the industry has come a long way, with many pet owners willing to spending a bit more to give their animals’ higher levels of comfort. A variety of alternatives, such as individual log cabins or even hotel suites with televisions and music, have emerged to meet this demand. The Animal Boarding Establishments Act 1963 requires businesses that provide accommodation to cats and dogs to be licensed by their local council. At the council’s discretion the licence is given on the condition that animals are well fed, exercised and protected from disease and fire. Buying a franchise. Arguably the lowest risk route into this industry, a pet franchise opportunity means you can capitalise on an established, recognised brand and receive training and ongoing support. Buying an existing business . All the elements of the business are in place – premises, trained staff and, hopefully, many repeat customers – but unlike a franchise, you’ll have complete freedom to change the business as you see fit. Setting up your own business . The most challenging, but – for some people – most rewarding, option, setting up from scratch means you can handpick premises and staff and develop your own brand from the ground up. You will need to contact your council to apply for an animal boarding establishment licence and the council may inspect your premises before granting a licence. You'll also need to make sure you have finance in place if you're looking to buy an existing business or franchise. If burgeoning demand makes this an attractive sector for entrepreneurs, then disruptive new business models are making it an intensely competitive one too. Pet-sitting services like Paws Galore, Borrow my Doggy and DogBuddy, for instance, are undercutting traditional kennels, which simply cannot compete on price given the disparity in overheads. Many dog owners also opt for home stays because it seems to offer a friendlier, more reassuring environment for their dogs. For traditional boarding kennels, then, it is imperative to maintain high standards and make the kennels as welcoming and comfortable for the dogs – with plenty of outdoor exercise included – as possible. And conventional kennels still boast a USP that peer-to-peer ‘pet sharing’ sites lack: they are experienced, trained and licensed in caring for animals with, hopefully, a proven track record evidenced by positive online reviews. The Pet Industry Federation (PIF) provides support to retail, kennel, cattery and home boarding business members across England and Wales. The PIF has partnered with the City of London Corporation to work on the Primary Authority Scheme. This scheme, which is run by the Department for Innovation, Business & Skills, was set up to help cut red tape, standardise licensing and protect businesses against the imposition of unfair, arbitrary conditions by licensing officers. The Association of Licensed Kennels & Catteries (LiKCA), meanwhile, provides support, education and advice for kennel and cattery owners. Founded in 2016 LiKCA is a non-profit organisation that campaigns to protect the formal licensed boarding industry from what it sees as the unfair loss of business to unregulated competition. Many pet-care businesses diversify into other goods and services including organic dog and cat treats, obedience classes, agility training, animal taxi services or pet photography, to name a few. Specialist grooming is also on the rise, with boutique salons for dogs and cats generating £220m annually. 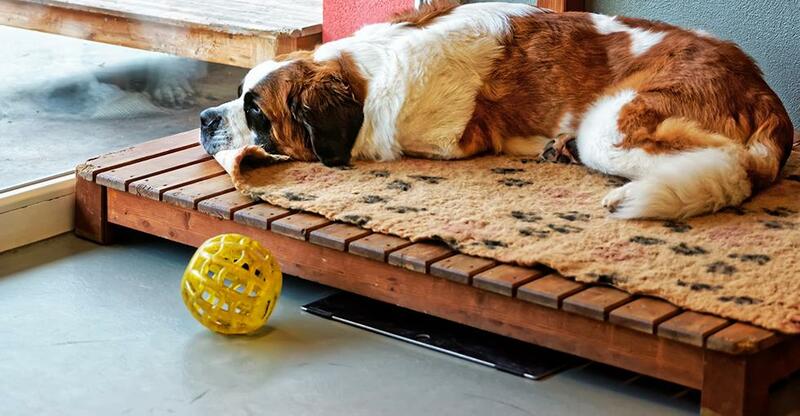 Luxury boarding kennels and pet hotels are also increasingly popular, with some operators offering a variety of high-spec amenities, such as hydrotherapy pools for dogs with muscular problems or recovering from surgery. The so-called ‘humanised’ pet products market, meanwhile, encompasses pet clothing, training toys or gourmet food and treats, with sales of advanced nutritional pet food alone raking in £270m a year for the British economy. A love and passion for animals isvital, but on its own not enough to make a successful kennel or cattery owner. Experience of working with animals is a big plus too. This is a 24/7 business and while customers’ pets are in your care you must ensure that either yourself or a proficient manager is on hand to care for and keep a check on the animals. The business, which will be at its busiest during school holidays, public holidays and weekends, will only suit a proprietor who is prepared to surrender the convenience of a 9-5, Monday to Friday working week. Patience is also paramount; there will often be unruly guests that are difficult to manage. Indeed, animals are more likely to play up when faced with unfamiliar surroundings. Remember, animals can be noisy, smelly and, at times, boisterous, so you must be able to calmly manage chaotic situations. If you already run a business in the pet sector, like a grooming operation or dog walking service, you could offer boarding facilities to your established clientele too. Veterinary clinics may also benefit from offering pet boarding. Staycations are on the rise in the wake of the Brexit vote, making hoteliers and bed and breakfast owners ideally placed to offer in-room dog beds or outdoor kennels to guests who want to take their dogs with them on holiday but don’t fancy camping or caravanning. For entrepreneurs buying a pre-existing business, location and space are two key considerations. Surroundings should ideally be quiet, so far away from main roads, to ensure the environment is not stressful for the animals. And how many dogs can it accommodate at once? Is there scope for expansion (is there space you could repurpose?) and at what cost?